Digital Allies is by far the most exciting programme I have experienced in my career to date. 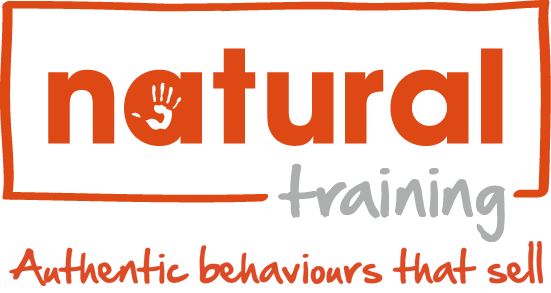 Virgin Media Business selected Natural Training as the UK supplier of a comprehensive 5-month sales training programme to the Medium, Large Enterprise and Public Sector sales teams. Their sales teams were having transactional conversations with clients and prospects and focusing on their data deals. VMB wanted them to be having more high value complex technology conversations so they could begin partnering with clients and increasing the services sold to them. The first part of the programme included comprehensive research and design. Our trainers spend a number of days shadowing individuals from across the business. This was vital to understanding what a day feels like and building the credibility and buy in from those we were shadowing. Because of this extensive research process, we achieved a clear understanding of how the programme needed to perform to achieve impressive results. As a result, we split the groups up into each of the three divisions (medium, large enterprise and public sector) and from the research piece were able to adjust the content being delivered to suit the relevant division. All trainers were aware of the different sectors and how the content was adjusted to suit. The 6-month programme was delivered to 300 sales people and 40 managers, divided into 4 key streams. Each stream was a call to action, like a War Cry, written as though shouted out by the sales people. The content was built around real case studies, and live accounts. 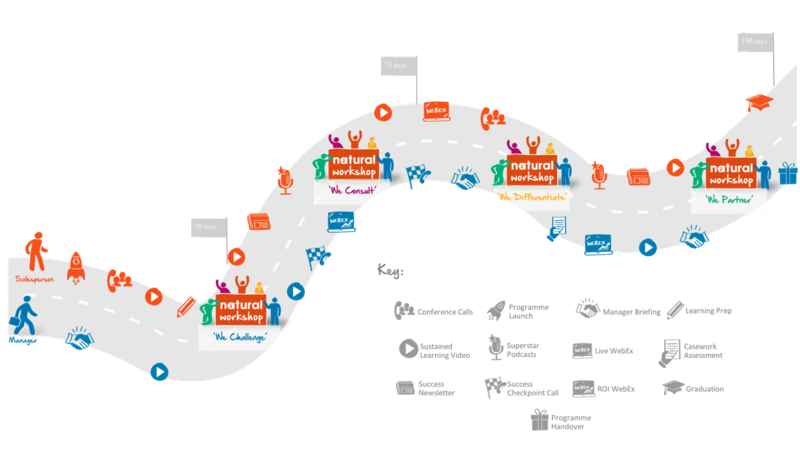 The workshops were very much built around Natural’s “Learn then Do” method. Highly practical, bitesize pieces of theory followed by activities and roleplay to put it into practice and ensure it related to the participant’s world. We added a blended learning journey that included workshops, WebEx’s, podcasts, videos and articles that were all created with the client in mind. The special moment for blended learning was the creation of Knowledge Diamonds. The entire senior leadership team, plus some superstars from the business, filmed a series of videos, around 3-5 each, that captured their thoughts and experiences around the key topics in the programme: for example their head of sales talking about how important it was to challenge the status quo and extend the conversation beyond transactional deals, and his experiences in doing so. These were released throughout the programme to keep the stream alive and content fresh and relevant. Why listen exclusively from our trainers when their sales people could hear from senior, experienced people with proper scar tissue? 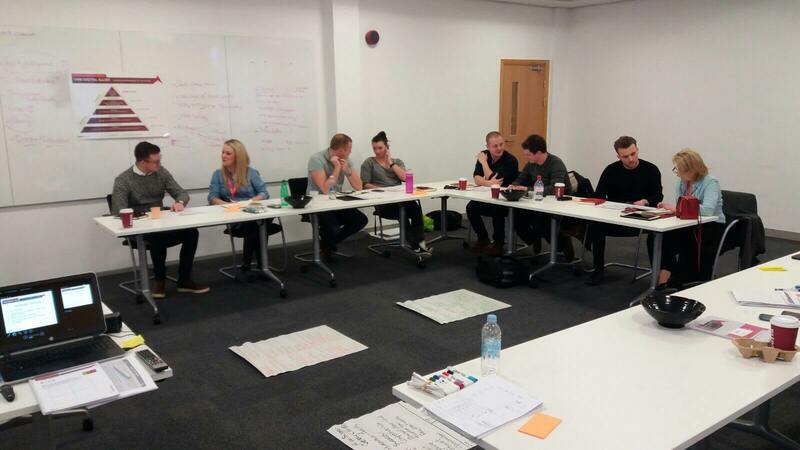 The Managers had their own programme designed so that it brought them up to speed with the content the sales community were receiving, which ensured they could support and coach the right behaviours. This programme also up-skilled them in the fundamentals of management as it related to the business and the subsequent sustained learning assets supported this. Since the launch of the programme the impact has been phenomenal. The teams are having far more impactful conversations with their clients and prospects and opening up massive amounts of new, larger scale opportunities. One delegate won a new multi million deal shortly after, which she has attributed directly to the training – saying that the skills she learned allowed her to consult on a new level to find the winning solution. 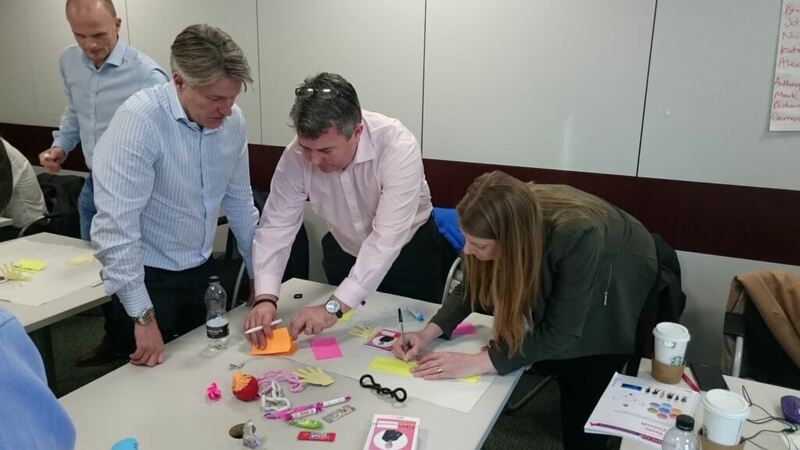 My teams are looking at higher value, more complex engagements now…. 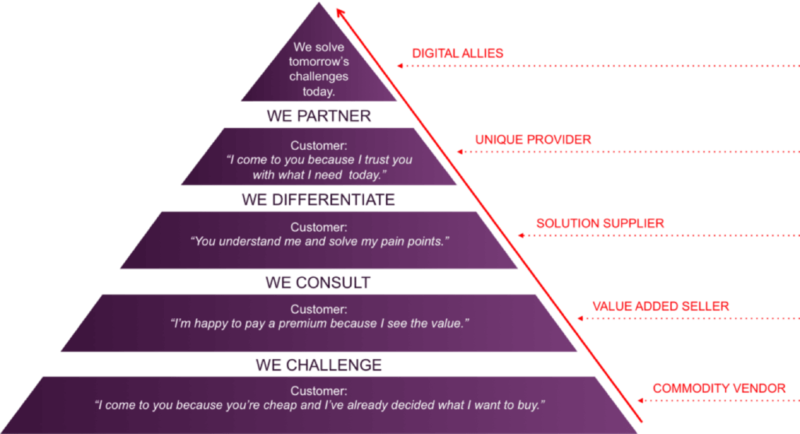 they don’t talk product anymore, they talk about economic drivers and what the value is going to deliver…. I’ve seen a complete shift away from the transactional. Those days are gone!